QR is short for Quick Response. The QR code was developed in Japan. You may see QR codes in a magazine advertisement, on a billboard, a web page or even on someone’s t-shirt. The reason why they are more useful than a standard barcode is that they can store much more data, including url links, geo coordinates, and text. Many modern cell phones can scan them using the QR code scanner application. Once you have scanned the QR code, the information will be stored in your phone. Business owners can now take advantage of this technology to send customers to their websites, landing page, contact details, videos, social media, brochure or discount vouchers. The days of discount vouchers are disappearing. The technology of the QR code is now getting popular amongst businesses and customers. It is a fun way to get customers for your business. Business owners can publish the QR code on any websites, social media, email, mail and even magazines. They can also have the codes on banners hanging on the walls in businesses, restaurants and shopping centres. The best benefit is that the code can be downloaded on mobile phones, and then redeemed when customers reach your business location. These QR coupons can be shared from one smart phone to the other. This makes it a lot easier to have the coupon at any time and any place. This also helps in targeting a greater customer segment, and in getting customer referrals. In term of SEO benefit, if you add QR codes to your website, the search engines (Google) will see that your pages have changed, and that you are updating pages. The search engine will see a new image and index it accordingly. At some point soon, the search engines will likely recognize QR codes and possibly index the content in them. You can now easily generate a QR code online. 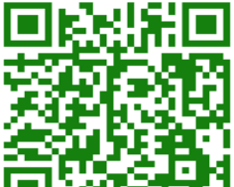 There are many open source QR code generator such as Kaywa.com and websitetrafficdog.com/QR. Google also has a tool to generate a QR code while shortening a URL. Here are a few examples of how businesses and consumers are using them. Scan of the QR code dials your place of business.